Urban Green Development is proud to announce the groundbreaking of Denver’s first LEED Platinum single family home to be built in the NW Denver’s Highland neighborhood. “The Green Cube Showhome” has received a LEED Platinum level classification from the US Green Building Council, the highest level of green sustainable building. The project is looking for qualified Green Industry partners to showcase their products. Project Goal: A fundraising project to showcase and network sustainable building contractors and green suppliers. 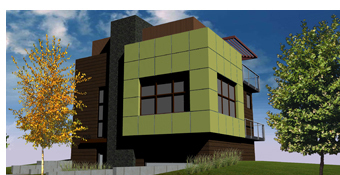 Background: Being built in one of Denver’s “hot spot” building neighborhoods, NW Denver’s historic Highland area, “The Green Cube” will be the city’s first LEED Platinum single family home, the highest sustainable/built green rating possible. When complete the home is expected use just 40% of the energy of a code built home. The home is scheduled to open in late fall off 2011 as a Green Built Show Home in conjunction with U.S. Built Green Council, and will be featured on the DIY Network throughout the process. The home will bring together area contractors, suppliers using sustainable and reusable products as well as serve as a fundraising project to support an annual scholarship fund enabling North High students to pursue careers in the Green Building Industry. When complete the Show Home will host tours, open houses, seminars and special events all raising money for North High career scholarships. This entry was posted in Energy Efficient, Green Certifications, Green Developments, Green Events, LEED, News, Show Homes, The Green House and tagged LEED Platinum Certified, The Green Cube Show Home, Urban Green Development on February 24, 2011 by Carol Morgan. On Feb. 18, the U.S. Environmental Protection Agency (EPA) designated Florida Agricultural & Mechanical University (FAMU) as a Center of Excellence for Watershed Management. The EPA also entered into an agreement with the university, pledging to support campus greening and sustainability. As part of the agreement, the organization will also work to enhance the university’s environmental policy and science curricula and provide opportunities for students interested in environmental careers. A ceremony was held on FAMU’s campus where two memorandums of understanding were signed, making the partnership official. Gwen Keyes Fleming, the EPA regional administrator for Region 4, was on hand as were several members of the university’s administration. FAMU became the first Center of Excellence for Watershed Management in Florida and the eighth in the Southeast. 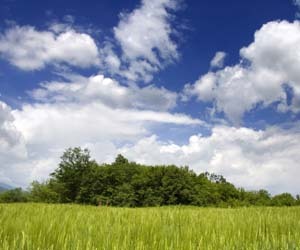 To be recognized as a Center for Excellence by the EPA, an institution must meet several requirements that include showing expertise in identifying and addressing watershed needs, involving students and faculty in watershed research that explores all aspects of problem management, delivering and accounting for results and forming partnerships with other organizations. Benefits of becoming a Center for Excellence include technical assistance from the EPA, letters of support for grant opportunities and promotion of the Center to stakeholders. 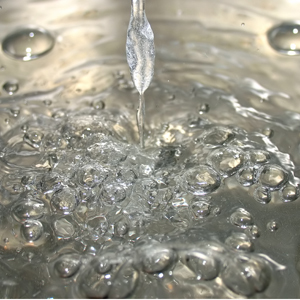 For more information about watershed management visit http://water.epa.gov/type/watersheds/index.cfm. This entry was posted in Green News, News and tagged Environmental Protection Agency, watershed management on February 18, 2011 by Carol Morgan.